Fisnar Europe is taking its latest multi capability gasket -forming and PCB encapsulation system to Munich next month. This is the first time that partner companies Fisnar Europe and Liquid Control have attended the Productronica exhibition in Munich. “The F9960N is a strong addition to the Fisnar Liquid Control product portfolio and we are excited to be launching it at Productronica,” said company managing director, John Henderson. 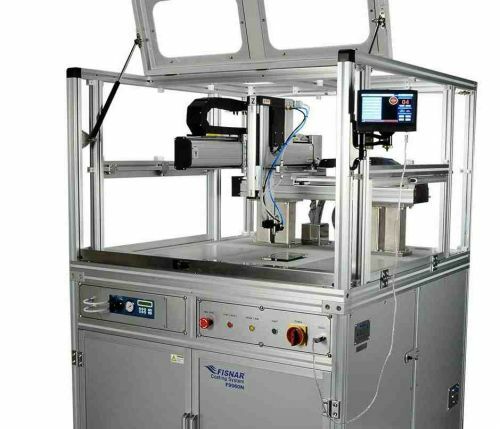 The F9960N Robot system has been designed for materials dispensing applications ranging from miniature SMT circuit boards to larger PCB’s and finished assemblies. It will be used for precision form-in-place gaskets, encapsulation, coating, EMI and thermal-grease applications as well as underfill and sealing projects. It is the first Fisnar gantry robot to be mounted within an enclosed free-standing platform. “The enclosed environment provides access for fume extraction systems, safeguarding the work force and work place from potentially hazardous substances,” said the company. 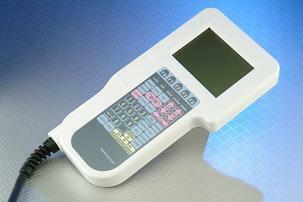 Control is via an interactive 178mm touch- screen display supplied with the system. Other features include software nozzle/tip change alignment routine for quick and automatic program change offsets and step-and-repeat functions for quick programming of multiple and identical objects. View the F9960N at Productronica in Hall A4 Booth 407, alongside a number of additional Fisnar Liquid Control products well suited to dispensing for electronic component applications.